Home / Entertainment • Events • Local News • Showcase • Sports • Trending Stories / Want To Ride A Firetruck To School? 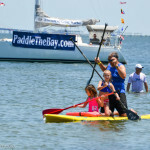 Every young child’s dream, could come true this Saturday at the Safety Harbor waterfront park, thanks to the local fire departments and Paddle The Bay event coordinators, Katie and Rick Blake. This year, during the raffle and silent auction event at Paddle The Bay, you will have the chance to win a “firetruck ride to school” for your child! 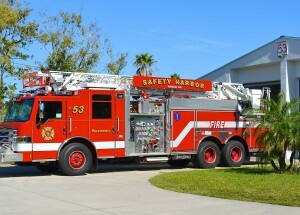 Both the Clearwater Fire and Rescue and Safety Harbor Fire and Rescue have donated a “ride to school on the firetruck” to be auctioned off during Paddle The Bay this Saturday, May 12th 2018. Imagine your child’s face when you tell them this fire truck is taking them to school tomorrow! 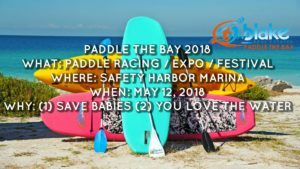 All proceeds from Paddle The Bay go to the non profit Paddle For Kids Corp, whose purpose is to raise awareness for newborn screening programs. 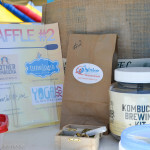 The raffles and auctions will be held at the Waterfront Park from 10am to 3pm on Saturday, May 12. The event is free and open to the public. Now in its 5th year, the Blake Real Estate Paddle the Bay event has grown into one of the biggest and best-run of its kind in the Tampa Bay area, according to participants. 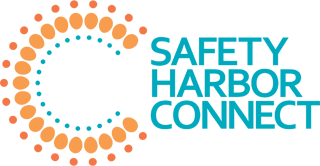 “I think this is a great event,” Jennifer Monnich of Tarpon Springs said at the 2016 event. 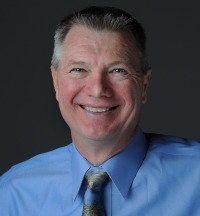 Veteran paddleboarder Bob Brodhead added, “This venue is one of the most comfortable ones for racers on the entire West Coast of Florida. For anyone interested in racing, the races will begin at 11:00 am and you must register online before 6pm on Friday, May 11. For more information on the 2018 Blake Real estate Paddle the Bay, visit the event Facebook page.